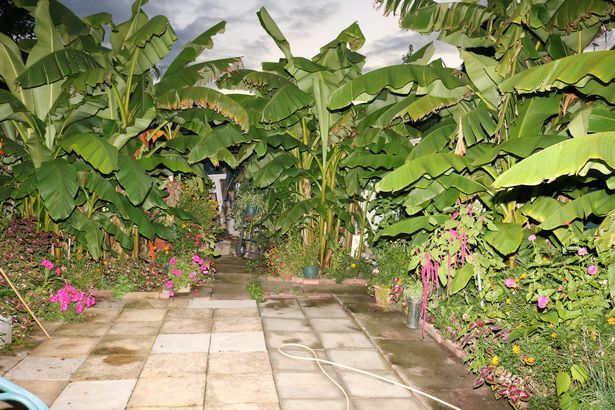 A house in Radford may look like any other from the front, but its back garden is a tropical trove of thriving banana trees. 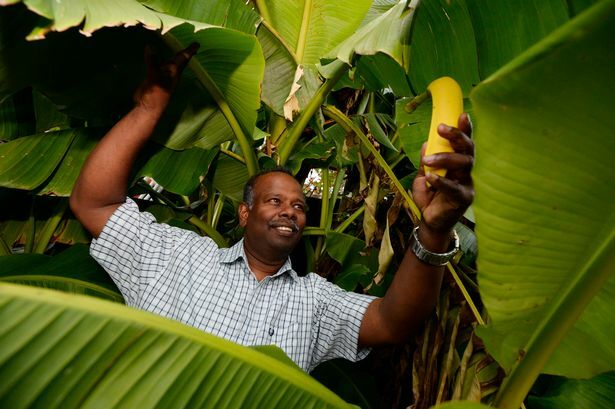 Sinniah Senthilselvan, who lives in Telfer Road, has turned his thumbs green to cultivate 300 banana plants in his garden. Sinniah, originally from Germany, has spent much of his working life in greenhouse agriculture. And after moving to Coventry four years ago he looked to use his cultivation skills to grow the tropical plants where you would least expect - a back garden in Radford. He spends his mornings tending the banana trees and other tropical flowers, and 2018's hot summer has them thriving well into October. And despite their unusual location, some of Sinniah's banana trees now measure over three metres tall. Although the banana plants have yet to bear fruit, he's hoping for a bumper crop next year. Sinniah said: "As winter approaches I will bring them inside to keep them warm and then in March or April they will be put out again to keep growing. "At my parents in Sri Lanka we had three to four thousand banana trees in the garden, which we would sell. "Some people come round to my home and feel they are in Sri Lanka, and some of the big leaves I have given as a gift to the Temple." Sinniah has used a special banana feed mix from Germany to keep the plants healthy, and they are still growing vigorously, despite some damage to the leaves from last week's windy weather. I doubt if he will get eadable fruit from these may be in the south of the UK as they need to be kept dry all winter they need to be kept frost free for at least 30 months and it takes 10 years for bananas to fruit. A lady in Manchester succeeded after 10 years wrapping hers in duvets but the fruit tasted like cardboard and only 4 inches long. But we'll done to the bloke. Better if he had created a micro climate around them with other trees and shrubs.